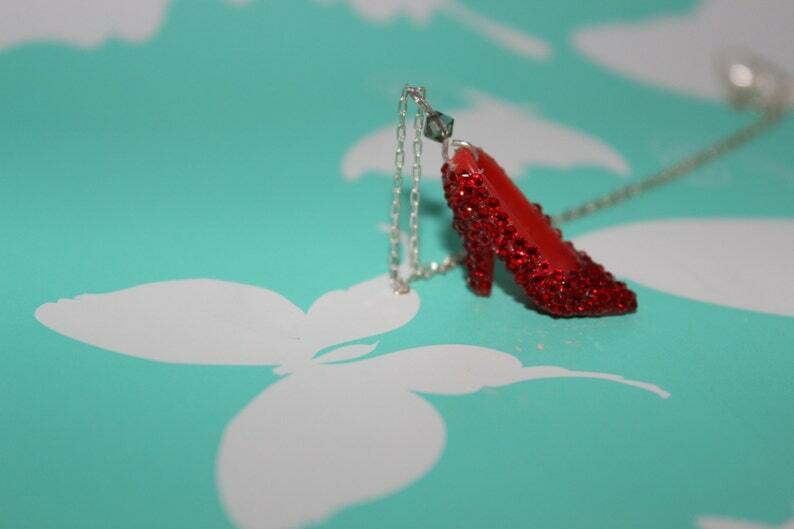 ♡ Crimson Swarovski crystal encrusted doll shoe charm on sterling silver chain. ♡ Size: necklace is 18 inches, other lengths (16 or 20 inches) available on request. Please note that 20 inch chains are $3 dollar more. *Original design, mini shoe is personally embellished by me. A Hey, Dollface! exclusive.